The responsibilities on charity trustees aren’t letting up. With intervention in or removal of charities by the Charity Commission for those repeatedly filing late returns, increased powers to suspend or disqualify non compliant trustees and its new weapon to issue formal publishable warnings for charities that get into difficulty with their compliance, it seems there is little margin for error for the modern charity trustee. Now the Commission is turning its beady eye towards those charities which fund or support overseas ministries. A recent investigation has been opened by the Charity Commission into the Grail Trust. The Grail Trust was set up in 1976 and principally provided financial support to an overseas organisation that ran a children’s home and community outreach projects. Regrettably an allegation of abuse was reported at the children’s home which is still being investigated by local authorities overseas. The Commission’s investigation was set up in order to establish whether the trustees of the Grail Trust had adequate policies and procedures in place to deal with such an event occurring and the potential reputational loss the charity in the UK could suffer. The report found the trustees wanting. The Commission found the trustees had failed to report the event, failed to take adequate steps to ensure the safeguarding measures employed by the partner charity were suitable and failed to follow or implement its own safeguarding procedures sufficiently. All in all, the Trustees had quickly got into hot water. But what are the lessons to be learned for charity trustees of churches? Christian organisations, large and small, have over the decades been responsible for contributing huge amounts of financial aid and practical support to developing countries, usually via a charity partner overseas. But how carefully are Trustees monitoring the work of the recipient of their funding grants? The need for close scrutiny and good housekeeping is stronger than ever. Churches wishing to partner with an organisation overseas must first take a number of practical measures. Before providing support trustees must conduct (and be seen to conduct) thorough due diligence of the partner organisation. That must include a review of its governance, how it carries out its projects and how watertight its safeguarding measures are. Extra care must be given in the event the partner works with children or vulnerable adults. Once this has been completed a system of monitoring and feedback will need to be instituted and regularly reviewed. Reports and accounts will need to be obtained on a frequent basis, and the partner held to account for the support it has been provided. In the event concerns are raised, Trustees will need to be clear as to when and on what grounds funding may be suspended or even terminated. But good housekeeping must also start at home. Sadly, gone are the days when trustees could leave it to the partner organisation to ensure everything went smoothly. In today’s society of social media, problems can escalate within hours. Churches should consider their own approach and responsibilities in each opportunity for partnership. In the event of an unwelcome situation arising it will need to be clear who in the church is nominated to deal with the matter and who will be responsible for reporting it, if this is necessary. Ensuring clear lines of responsibility and communication within the church will demonstrate to those outside active management of the church’s commitments. Things are so much more complicated these days. 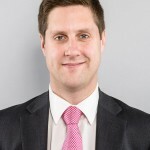 Ben Bourne is one of our directors and works within our Commercial Litigation and Charity Law departments. Ben is a member of the Charity Law Association and has also served on a number of Charity Trustee Boards.